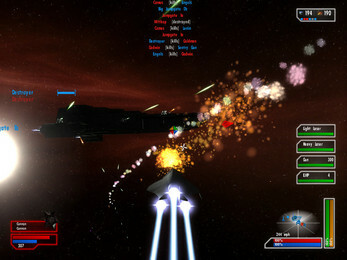 DGX 9142 is a space dogfight game with Battlefiel-1942-like conquest maps and FreeSpace-2-inspired space combat. Every team has a certain number of tickets. Killing enemy ships or holding special positions decreases the enemy team's ticket counter (displayed in the upper right corner). A team wins if the other team's counter hits zero. Your ships spawn at jump gates held by your team. 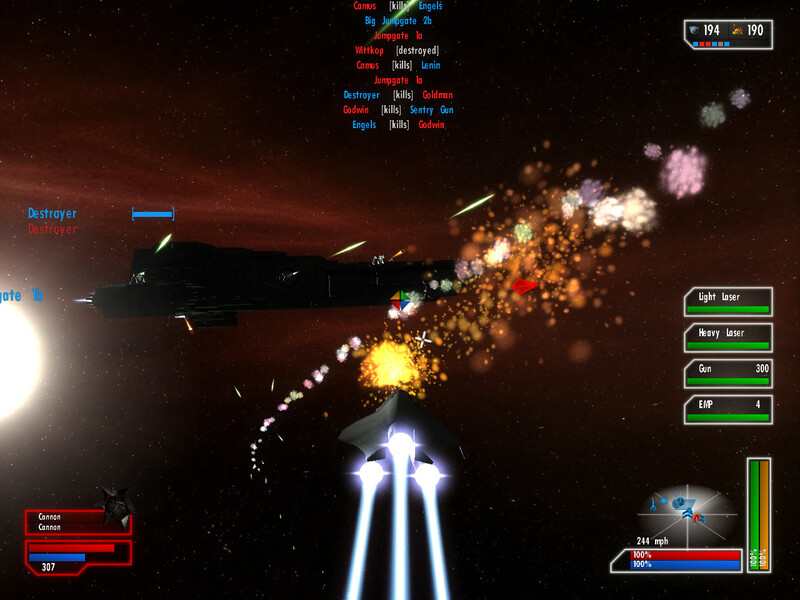 You can conquer further jump gates by flying close to them while there is no enemy ship around. Jump gates with a green arrow next to their name spawn NPC cruisers. 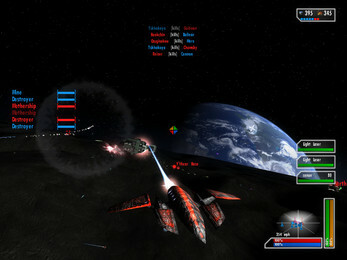 The players choose one of four ship classes. Bomber to tackle big cruisers and stations. 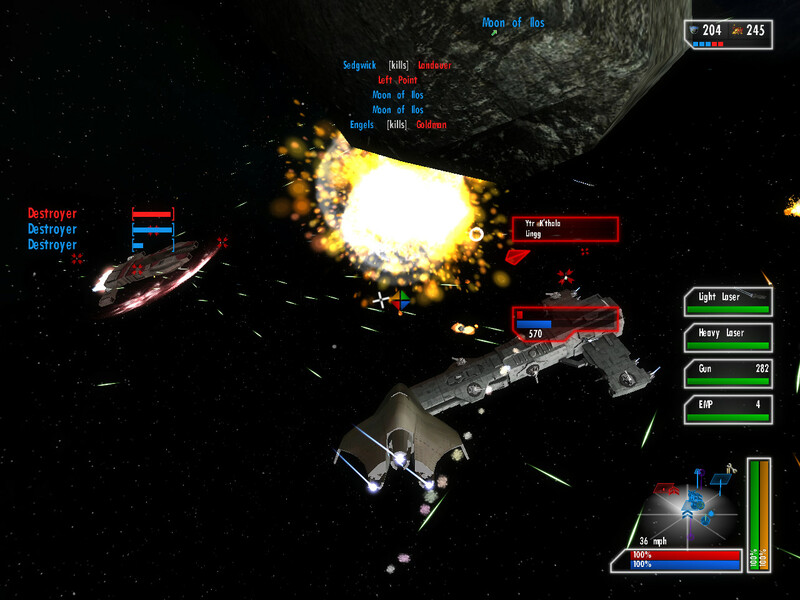 Support which regenerate friendly ships or supply them with new ammunition. The fighting is quite similar to FreeSpace, Freelancer and other space games. WASD: regulate the forward/backward/sideward thrust. Just unzip the archive and run DGX9142.exe! On Windows 10 and on Wine32, it should work without further configuration. The game needs DirectX 7 support, 100 MB of disk space, 1 GHz CPU, 1 GB RAM, and 128 MB GPU memory. This game really exceeded my expectations and was a blast to play! Thanks for making it. 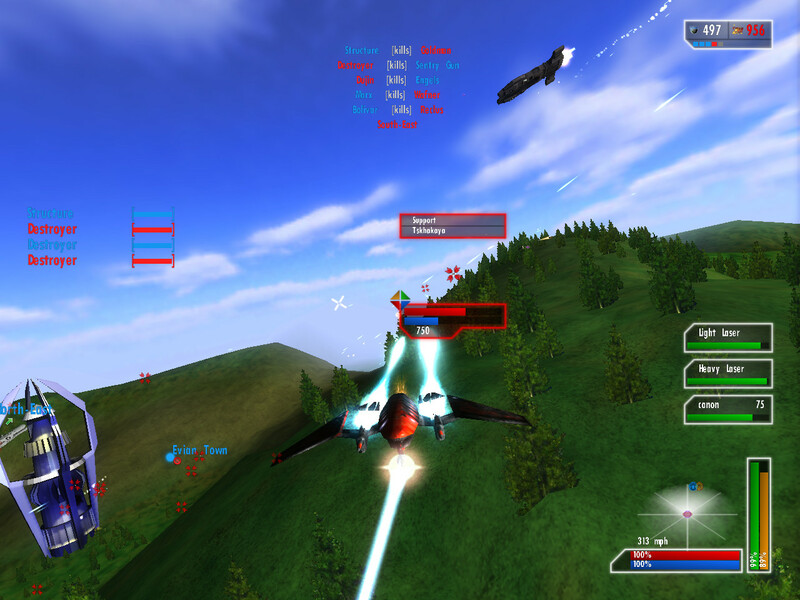 My favorite part was how fluid the controls are and how easy it was for me to jump in and play. I had a bit of a flickering issue in full screen mode and when I went back to windowed the game was too zoomed in for the window resolution, but I fixed it by doing a clean install. 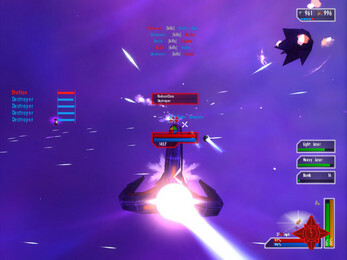 Overall it reminds me a lot of the space battles in star wars battlefront, but with better controls. Thanks! I'm really glad you liked the game! I did a Twitch stream of your game on Sunday 02/03/19 and I uploaded it to my YouTube channel today.